Arctic winds and snowfall are still expected over the next two days, says Environment Canada. A blast of arctic air is expected to hit the province later tonight and will result in overnight snowfall over the South Coast. 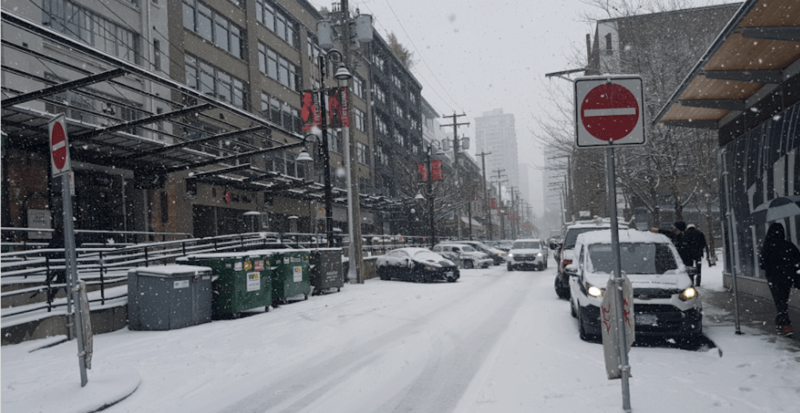 Most areas of the Lower Mainland are expected to receive at least a few centimetres by Saturday morning, although East Vancouver Island, Greater Victoria, and the Fraser Valley are expected to receive much higher accumulations. Howe Sound-Whistler, the Fraser Valley, Greater Victoria, and the southern Gulf Islands are also supposed to experience a bitterly cold wind chill and reduced visibilities due to blowing snow. Be sure to bundle up, travel safely, and prepare for any snowfall or arctic outflow warnings that are issued over the next 48 hours.